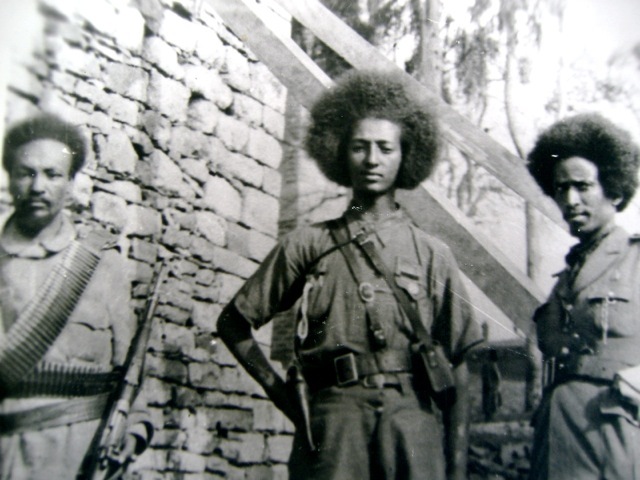 Jagama Kelo was just fifteen years old when he went to fight the Italian invasion of Ethiopia, which began on the 3rd of October 1935. In an interview with the BBC’s Elizabeth Blunt (now in the Imperial War Museum in London) he described his war experiences. The Italian forces, under Generals Rodolfo Graziani and Pietro Badoglio, had steadily pushed back the ill-armed and poorly trained Ethiopian army, taking Addis Ababa, on 5th of May 1936. Jagama Kelo, was at that time no more than a young man. He was the son of a wealthy landlord,who owned 900 acres of farms with his uncle, in the Gimchi area of Shewa, not far from Addis Ababa. Jagama had heard tales of his brave ancestors as a boy and hoped to emulate them. When the Italian invasion took place Jagama saw his chance. With his elder brother and uncle, he took to the bush, determined to resist. At first he had no gun – only his elder brother had one. But they ambushed Italian troops and gradually armed themselves. Peasants joined the struggle and by the end of the war they had over 3,000 fighters under their command. 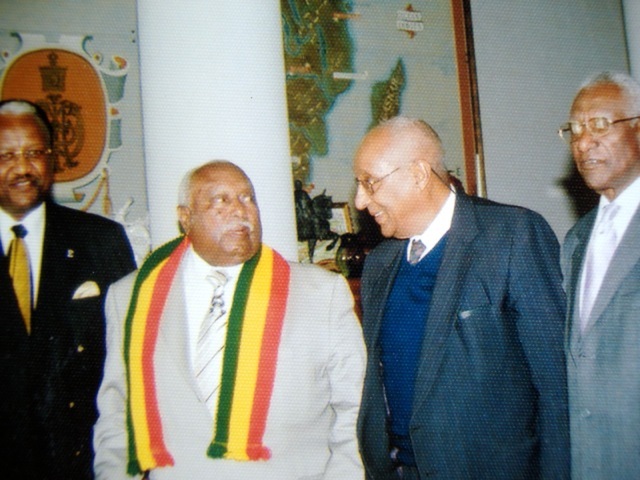 The largest battle he recalled was at Seyoum Mariam, some 55 km from Addis. Jagama says they were told by a woman fighter where to find the Italians and in a surprise attack broke through their lines. They killed 72 Italians in the engagement, capturing some 3,000 rifles. On 5th May 1941, after years in exile in Britain, the Emperor Haile Selassie returned to his capital. Jagama, who had received no British help during the 5 years of the war, refused to go to Addis Ababa for the ceremony. In the end the Emperor came to Gimchi. Jagama says he put his 3,500 troops on parade, to greet Haile Selassie. He was then driven in the Emperor’s own car to his palace, where he was awarded a gabardine coat and a gold watch. But the war was not yet over. Jimma was still under Italian control. The Emperor asked Jagama for help and he says he led his forces into battle. Reports suggest the area was ‘swarming with Patriots’ – many of whom may have been loyal to Jagama. He told the BBC that his forces captured some 500 Italian soldiers, whom he handed over to the British. There was one more twist to this story. Jagama became dangerously ill with malaria and was taken to hospital in Addis Ababa. But the British doctor refused to treat him until he had a haircut. But Jagama was very proud of his ‘afro’, since it had scared his enemies and he refused and went home. It was only when the Emperor came to his house and personally ordered that his hair be cut to save his life that he gave in and accepted his fate. The war was over, but Jagama remained in the military, rising to the rank of Lieutenant General. His story, and the story of the Africans who fought in the Second World War is recounted in a BBC documentary. 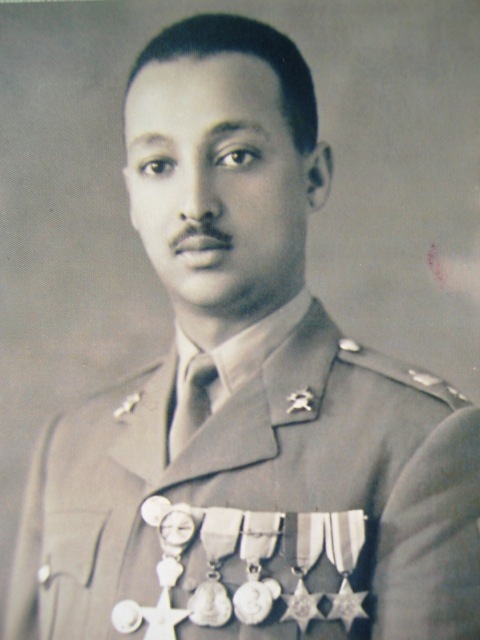 He remained loyal to Emperor Haile Selassie when others deserted him, and was one of a number of Oromo officers who refused to participate in the ill-fated coup of 1960. Jagama was also instrumental in crushing a rebellion in Bale in the 1960’s and was rewarded by being appointed provincial military commander. Lt Gen Jagama is a war-hero, recognised by Ethiopia and by the Oromo people, of which he is a member. You can read more about African soldiers who served in the Second World War here. A very interesting and factual story. really cool but the last phrase “Oromo Nation”, Oromia/Oromo is regional state with in Ethiopia thus describing it as a “Nation” would be falling to the unauthentic ideology of some divisive groups. Thank you again sir. Very very great. 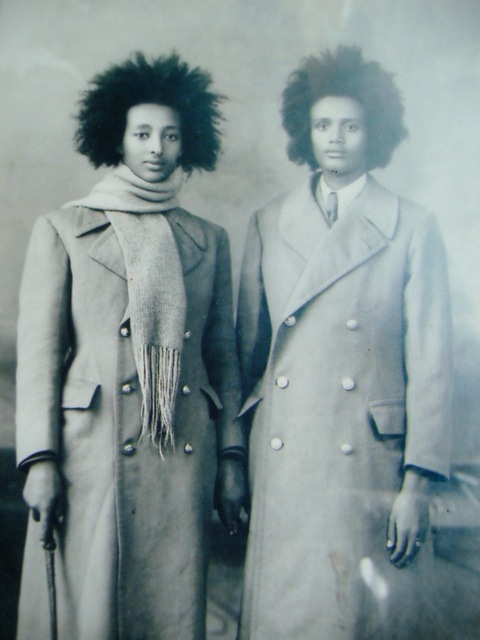 i am very interested to hearing factual history of l g jegama kelo of a hero oromo fighting for the independence of Ethiopia during the fascist italy. garuu jagamaan billisummaa sabasaaf gaaftokko yaade beeka ta’aa??? Lieutenant General Jagama Kello is a real Ethiopia Heroes!! Being a son of a wealthy landlord and a small boy of age 15 years only,the great Ethiopian hero jagema kello didn’t even bothered about his comfortable life or he was not afraid to face death bare handed. Rather his heart was filled with patriotism to defend his country from the invader Italian fascist. He is a real patriot who is a symbol for all Ethiopian and African youth. I really admire Jakama, he believes in unity of all Ethiopians. when he was asked about his Oromo groups interest of independence from Ethiopia. He cleverly stated his wonderful idea. He said that a tree could not be detached but the branch can do it. Oromia Region is like a pillar for Ethiopia. That is why Jakama cleverly said Oromia could not be taken from Ethiopia, because there will be no more Ethiopia without the Oromos.